Oroku Saki. The Shredder. Arguably one of the most iconic cartoon/comic book villains of all time, but a character who is far too frequently portrayed as little more than a cackling, one-dimensional bad guy cliché. 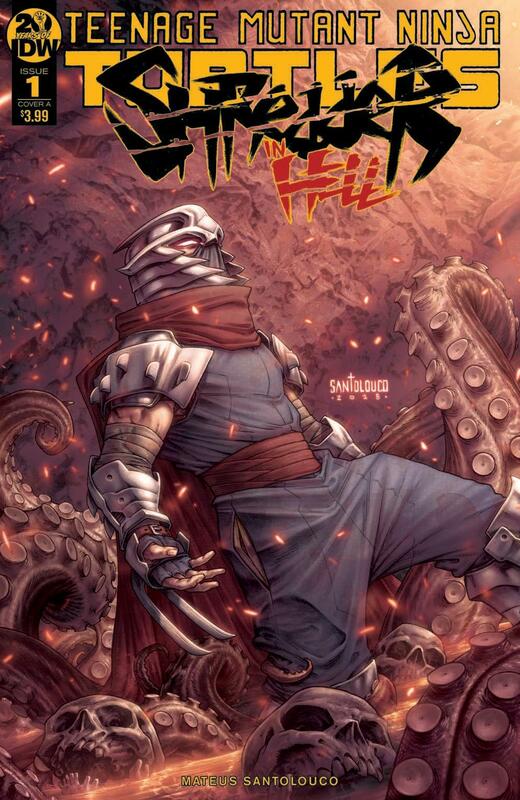 Written and illustrated by TMNT stalwart Mateus Santolouco, Shredder In Hell picks up directly from the shocking events of issue 50 of the ongoing series which saw Oroku Saki being bested by his long-time friend and rival Splinter and being relieved of his head in the process. 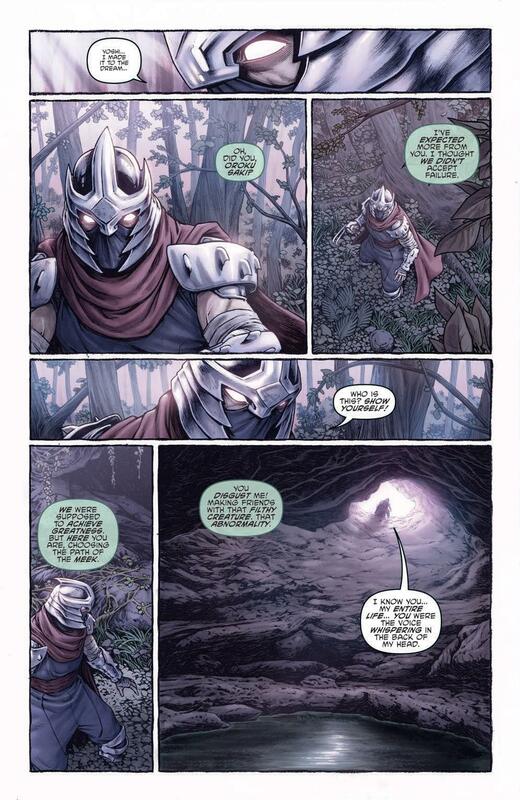 Now trapped in the underworld, Shredder is forced to face up to his destiny, his lineage, and the actions which brought him to this point. The first thing that grabs you about this series is most definitely the artwork. 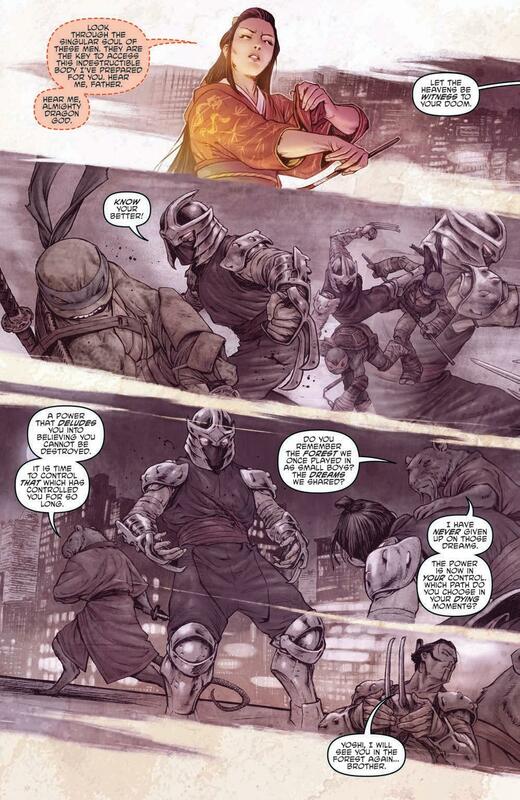 Santolouco has already left an indelible mark on the world of the Teenage Mutant Ninja Turtles with of his stellar efforts on the main ongoing title and the previous ‘Secret History of the Foot Clan’ mini-series. 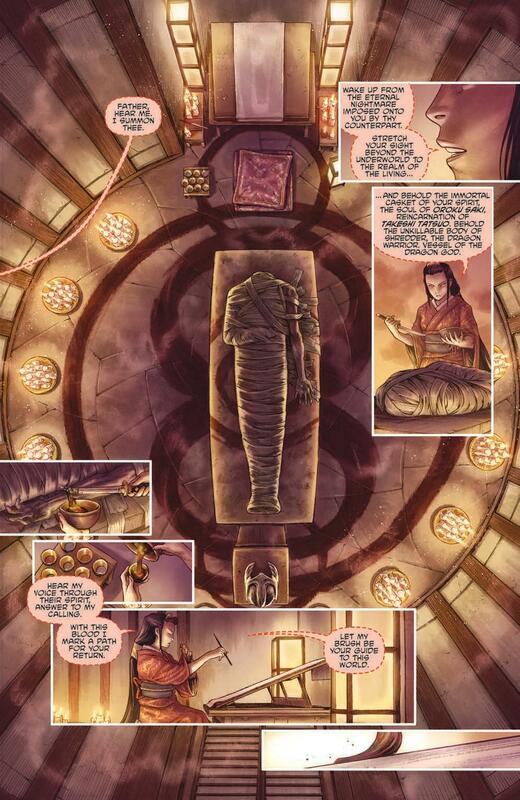 However, it’s no exaggeration to say that Santolocou’s art has never looked better than it does here, with intricate detail and hazy colours giving the book an aesthetic which is equal parts dynamic and ethereal. 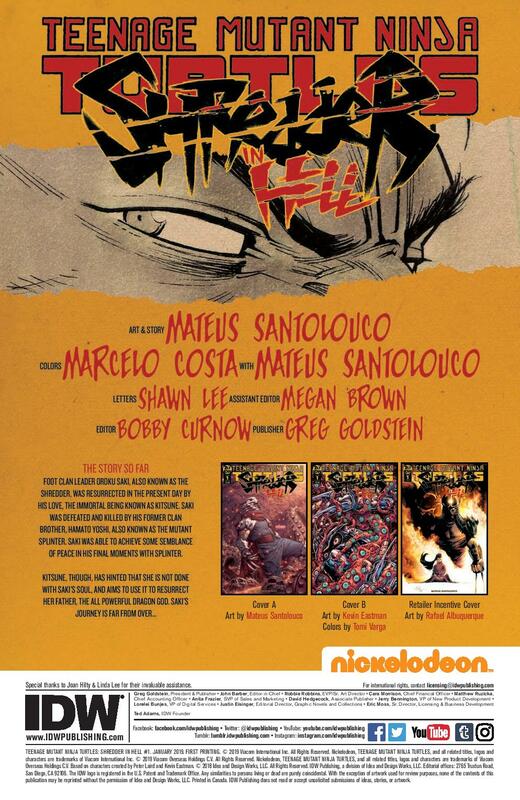 Santolouco clearly has some big ideas here, and does a solid job of laying things out in this first issue as Saki is taken back to the forests of his youth, coming face to face with the man (or rather, the rat) who led to his demise. 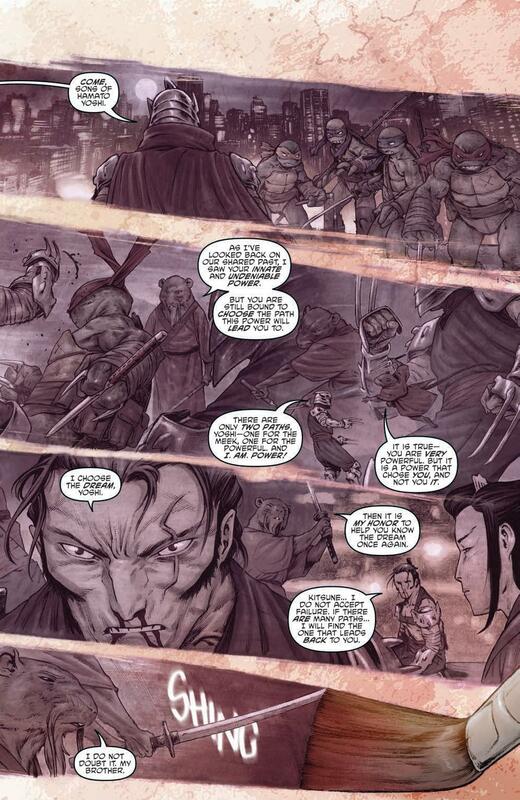 It’s a series which is heavily immersed in the more supernatural and spiritual aspects of the TMNT universe, an approach which works incredibly well given the heavy influence of characters like Kitsune on the proceedings. 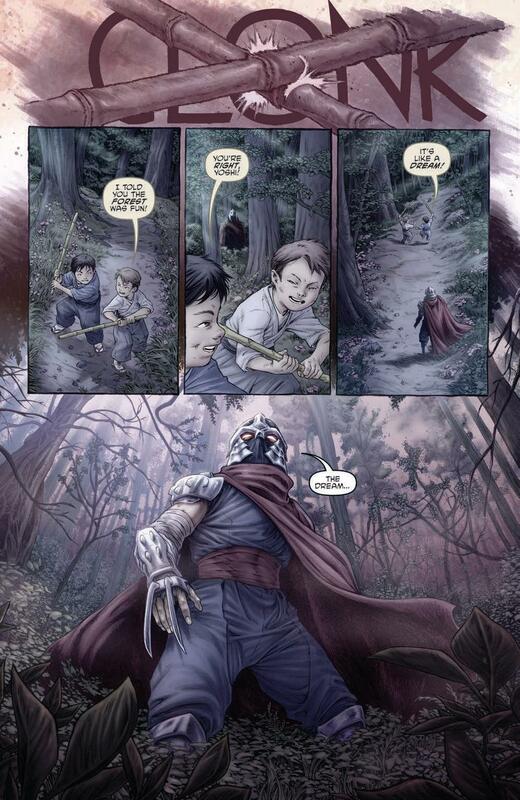 As the story unfolds, it’s already adding some much-needed depth and relatability to the character of Oroku Saki, and while it’s not exactly clear yet whether this is going to end up as a tale of redemption or a chance for Shredder to gather himself and become an even more dangerous threat, it’s this level of ambiguity (along with the aforementioned stunning artwork) that I think is going to ensure a lot of readers return for the remaining four issues of the series. At the end of the day, the story so far is definitely cause for optimism, but it’s the legitimately world class artwork from Santolouco that makes this an absolutely essential purchase for TMNT fans. Highly, highly recommended.